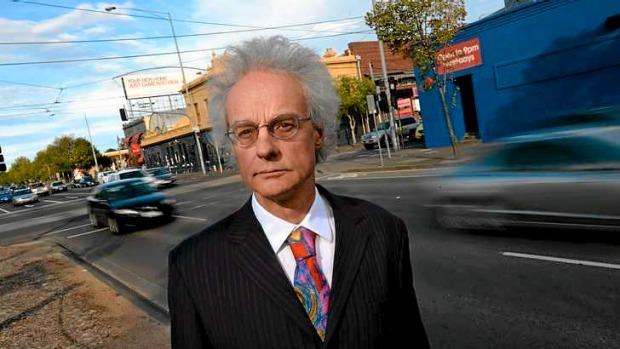 This presentation about the Tony Murphy vs. State of Victoria & Linking Melbourne Authority East West Link Supreme Court Case was developed to identify some of the longer term impacts of the case from a legal perspective, and for the purposes of outlining why this particular litigation had some impact, which is, as you well know primarily because of the will and actions of the community. Taxpayers will be forced to pay hundreds of millions of dollars in compensation to the builders of the East West Link if the toll road is abandoned, after the Napthine government caved in to demands for a special deal. After months of speculation and years of controversy, the government on Monday signed a $5.3 billion contract with the East West Connect consortium to build the toll road. It came just hours after the High Court quashed a bid by Brunswick resident Anthony Murphy to halt signing of the contracts. After months of speculation and years of controversy, the Napthine government has signed the contract for the East West Link project. The multibillion-dollar contracts were hastily signed in the Linking Melbourne Authority’s city office around 4.45pm on Monday. It followed the High Court throwing out a move by a Brunswick resident to halt the signing of the contracts. The Court of Appeal has overturned a Supreme Court decision on Melbourne’s East West Link road project, which found the Victorian Government had not misrepresented the economic benefits of the road project. The decision means the case will now be retried. The Victorian Government has signed a multi-billion-dollar contract to build the first stage of the East West Link tollway in a move described by the Opposition as an act of “arrogance and desperation” ahead of an election. Just hours after a bid to delay the project was thrown out of court, the consortium East West Connect also signed the agreement for the $5.3 billion project connecting the Eastern Freeway to Citylink. Labor said it would not honour the contract if it wins the November state election. It looks as if Melbourne has dodged the East West Link bullet. Almost. Providing the opinion polls hold up and Labor wins the state election in November, with Greens support in the upper house, the $8 billion first stage of the road is unlikely to go ahead. Brunswick resident Anthony Murphy is taking his fight to prevent the state government from signing contracts to start building the East West Link to the High Court. Mr Murphy maintains the state should not be able to sign contracts with its preferred bidder, the East West Connect consortium, because it has misrepresented the road’s economic benefits to the public in breach of consumer law. The Supreme Court rejected this argument and dismissed his case against the state and its Linking Melbourne Authority. The Court of Appeal is deciding whether the case should be heard again and is due to hand down its ruling at 10am on Monday. The East West Link will be dumped if Labor wins the state election, even if business contracts to build the multibillion-dollar road have already been signed. In a high-stakes gamble that will set a clear battle line for the November 29 poll, Labor has confirmed if it forms government it will use a looming court battle to render the contract for the eastern section of the project invalid. The extraordinary move follows high-level legal advice from former Federal Court judge Ray Finkelstein, administrative law expert Richard Niall, QC, and contract law expert Siobhan Keating. Melbourne’s controversial East West Link toll road project could be scrapped if Labor wins the Victorian election in November. Labor said it had legal advice that any contract for the multi-billion-dollar tunnel and toll road would not be enforceable if a December court challenge by the Yarra and Moreland councils was successful. Legal difficulties and questions over the East West Link cost-benefits, risks and transparency continue to mount. Is the road project really a fait accompli, or might it yet be roadblocked? Clay Lucas, Adam Carey and Jane Lee take a fast tour of the street scene. The campaign against the East West Link received a boost on July 18 when the Moreland Council voted to take legal action against the Victorian state government in the Supreme Court in a bid to overturn planning minister Matthew Guy’s approval of the unpopular motorway. The proposed East West Link is an 18-kilometre tollway between the Eastern Freeway in Collingwood and the Western Ring Road in Sunshine West. In a special meeting, the councillors voted six to two to take the legal action, challenging the process by which the minister made the decision to give the project a green light. Moreland Council has launched a strike against the Napthine government’s signature major project on Friday night, voting to take legal action against the East West Link. The council also voted to lobby three other inner city councils that have opposed the road project – Melbourne, Yarra and Moonee Valley – to join them in their legal action. The case will seek to overturn Planning Minister Matthew Guy’s decision on June 30 to allow the East West Link to go ahead. Lawyers for the Brunswick resident challenging the East West Link have accused the state government of deliberately delaying the court case until it has signed building contracts for the project. 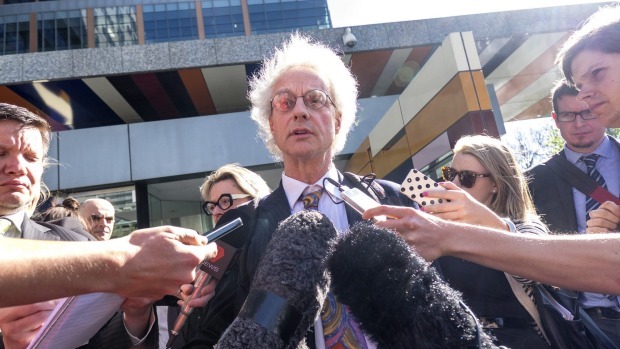 Anthony Murphy and his legal team appeared in the Supreme Court in Melbourne on Friday to discuss arguments put forward by the state government and its planning body Linking Melbourne Authority. Ron Merkel, QC, for Mr Murphy, described the state government’s defence as “totally deficient” because it did not detail any of the trade and commerce activities it had performed in preparation for the $6 to $8 billion road, or the publications it relied on for its business case, which appeared in the Linking Melbourne Authority’s arguments. With just days until the Napthine government must respond to an environmental impact statement on the effects of its proposed East West Link project, the Senate has passed a motion demanding the secret business case for the road also be made public. The East West Link is a proposed cross-city freeway tunnel, extending across Melbourne from the Eastern Freeway in Clifton Hill to CityLink in Flemington. The Napthine government has been ordered to fully defend itself in court against accusations it misled the public on the benefits of the East West Link. Brunswick resident Anthony Murphy is challenging the $6billion-$8billion project in the Supreme Court. His lawyers, who include former Federal Court judge Ron Merkel, QC, argue the project has been based on ”misleading representations” that breach consumer protection laws. ”Whilst the government is fully entitled to construct and operate a tollway, it’s not entitled to do it in breach of the public duty not to engage in misleading conduct,” Mr Merkel said. The Abbott government will commit more than a billion dollars to fund the second stage of the East West Link road under a deal hammered out with the Napthine government. Fairfax Media has learned the federal and state governments have finally reached agreement on Canberra’s contribution to the road in recent days. The State Government has slammed a taxpayer-funded legal centre that is supporting a serial protester’s legal attempt to stop the East West Link tunnel project. A spokesman for Attorney-General Robert Clark accused the Fitzroy Legal Service of spending too much time running political agendas rather than helping those in genuine need. A serial protester is the public face of a major legal challenge to the Napthine Government’s East West Link tunnel project. 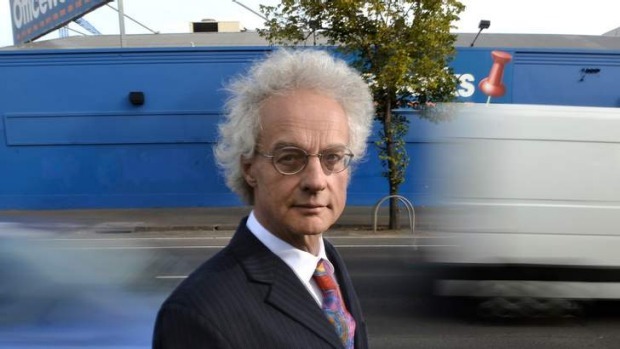 Brunswick resident Tony Murphy campaigned against the Eastern Freeway in the 1970s and most recently chained himself to a drilling rig during an anti-tunnel protest. The State Government is set to face a legal challenge over the East-West Link toll road. Lawyers representing Brunswick resident Anthony Murphy have filed a statement of claim in the Supreme Court. They allege the Government and Linking Melbourne Authority has misled the public over the claimed benefits of the 18-kilometre toll road which will connect the Eastern Freeway to the Western Ring Road. In a statement of claim to be lodged on Tuesday, Mr Murphy’s legal team, which includes former Federal Court judge Ron Merkel, QC, will allege the government and the Linking Melbourne Authority breached state and Commonwealth consumer protection laws by engaging in ”misleading conduct” about the claimed benefits. The East West Link is set to be challenged in the Supreme Court, with the Napthine government accused of deliberately overstating the claimed benefits of the project. In a case reminiscent of the movie The Castle, Brunswick resident Anthony Murphy and a team of senior lawyers will try to halt the tender process for the $6 billion to $8 billion project by arguing the state government has misled the public.